Merry Christmas from our Independent Living residents! 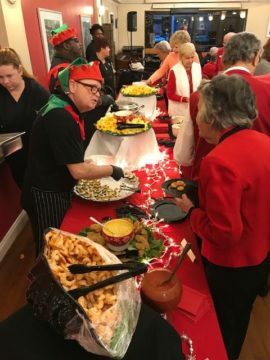 Our residents in Independent Living had a wonderful Christmas party! Our staff love to serve our residents year round but go all out for holidays! Merry Christmas from our residents in Healthcare, Assisted Living and Memory Care! 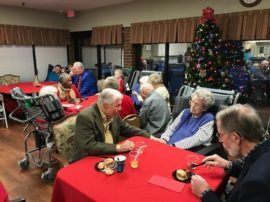 Our residents in Healthcare, Assisted Living and Memory Care had a wonderful time celebrating the season at our annual Christmas party! Community Partners with Clemson Elementary! 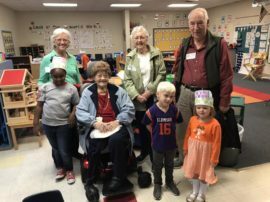 Our residents are enjoying spending time with their adopted grandchildren at Clemson Elementary!! Every Friday our residents read books, work in centers and spend time with the kindergartner’s in their class rooms. Everyone has a great time being together and learning from each other! 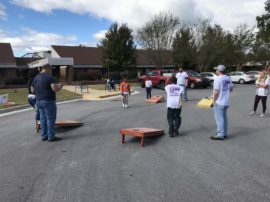 Clemson Downs hosted a Family Fun Day on a perfect fall afternoon! Our staff enjoyed hot dogs and burgers off the grill, corn hole tournaments, cake walks, horse rides and a be all, end all game of kick ball. An afternoon on Lake Jocassee! What better way to see that beautiful fall foliage than from a boat ride on Lake Jocassee!! 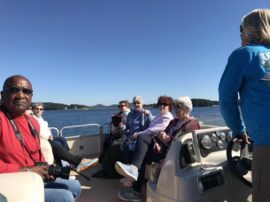 Our residents had a wonderful afternoon touring the lake, seeing the leaves, enjoying hot cider and exploring waterfalls. 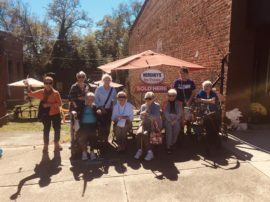 Our residents had a great time touring the Town of Pendleton on a beautiful fall afternoon! They had lunch at The Islander, admired the scarecrows and ended the day with a sweet treat from Mamma Rae’s Ice Cream shop. Hitting the links for a good cause! Clemson Downs is a proud sponsor of the Clemson Area Chamber of Commerce golf tournament with proceeds going to Upstate Warrior Solution. 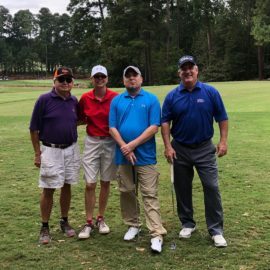 We were honored to be a part of a tournament that honors our veterans! Clemson Downs is a proud sponsor of the Walk to End Alzheimer’s! 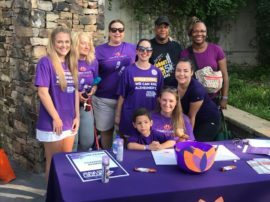 Our Clemson Downs team walked in the Anderson Walk to End Alzheimer’s! 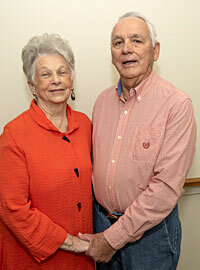 This annual event raised money and awareness for research and help for families who are coping with cognitive decline. 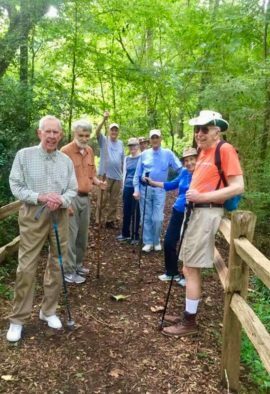 Our residents are having a wonderful time going on excursions with the Clemson Downs hiking club. They are exploring waterfalls and hiking trails all over the upstate. 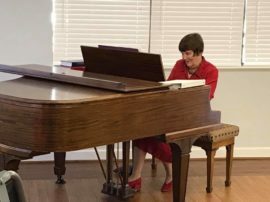 Our residents enjoyed the debut post-retirement piano concert by Mickey Harder, former director of the Clemson University Brooks Center.